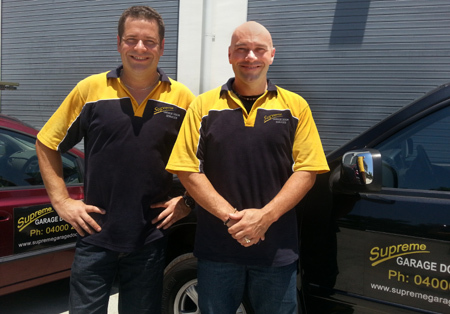 When you are after quality garage door springs in Brisbane, we are the place for you! If one of your springs has broken, you need to have it repaired. Without both of them operating at the correct tension, your opener will be operating under extreme load. This could easily strip the gears, or burn out the transformer, creating a situation that is now much more expensive to repair! We carry most springs in stock to suit most types of garage doors. We are experienced professionals and we specialise in FAST RESPONSE and repair. So whether you need garage door springs in Parkinson, Springfield Lakes or other suburbs, we can usually offer repairs the same day. Most people don’t realise the vital role that garage door springs play in their overall garage door operation. If you don’t have both springs set at the correct tension, it also affects the lifting cables, causing them to become loose when the door is fully open. This creates a highly dangerous situation, as it becomes very easy for the cables to slide off the cable drum. If this happens, your door will twist and lock itself at a skewed angle, thereby rendering itself unable to be opened or closed. So call us NOW on 04000 29995. Garage door springs do not last forever. Typically they have a life expectancy of 12,000 up-down cycles (8-12 years of normal use). If one has broken, the other spring is not far behind. Choosing the proper type is vital to the operation of your door, to ensure it is properly balanced and tensioned correctly. Springs are made in different sizes and gauges to suit the specific size and weight of your individual door. If the wrong ones are installed on your garage door, it may never work properly and could cost you a significant amount of money to remedy. It will also put unnecessary strain on your motor, causing it to work much harder and fail much sooner. For your own safety, it is highly recommended that you rely on a professional to carry out any work rather than attempting to replace them yourself. It is also not recommended to repair your springs by welding. - All springs are made in Australia or the USA, depending on availability. - No cheap Chinese imports!